When it comes to Memorial Day recipe planning, everyone&apos;s got their own technique. Some of us continue making the same tried and true recipes we grew up eating. 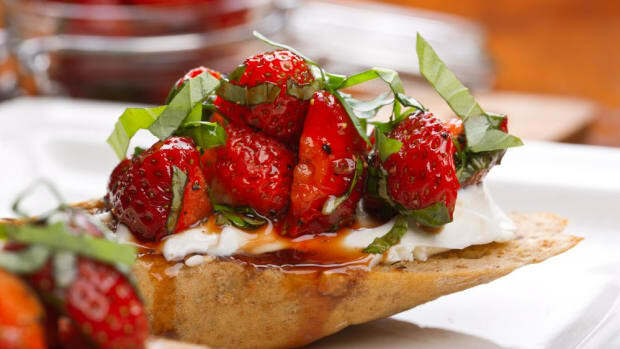 Others take a gourmet approach, with new and exciting al fresco recipes that take advantage of the grill. 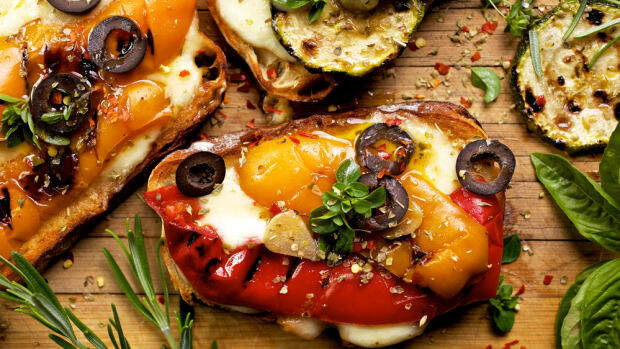 And some others still never forget that Memorial Day falls on Meatless Monday and choose to play up the best in vegetarian Memorial Day recipes. Whichever category you fall into, we&apos;ve got some fantastic choices from our archives. Here are our absolute favorite Memorial Day recipes -- pick and choose the ones you love, and get ready to celebrate the beginning of summer! 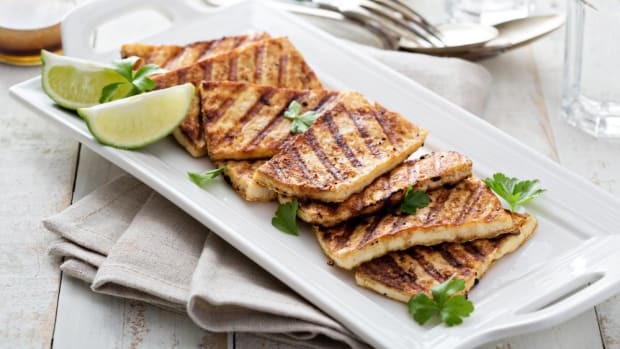 We often think of Memorial Day as a time to light the barbecue for the first time all year, and using the grill for more than burgers and hot dogs is a simple, delicious way to add a gourmet flair to your meal. 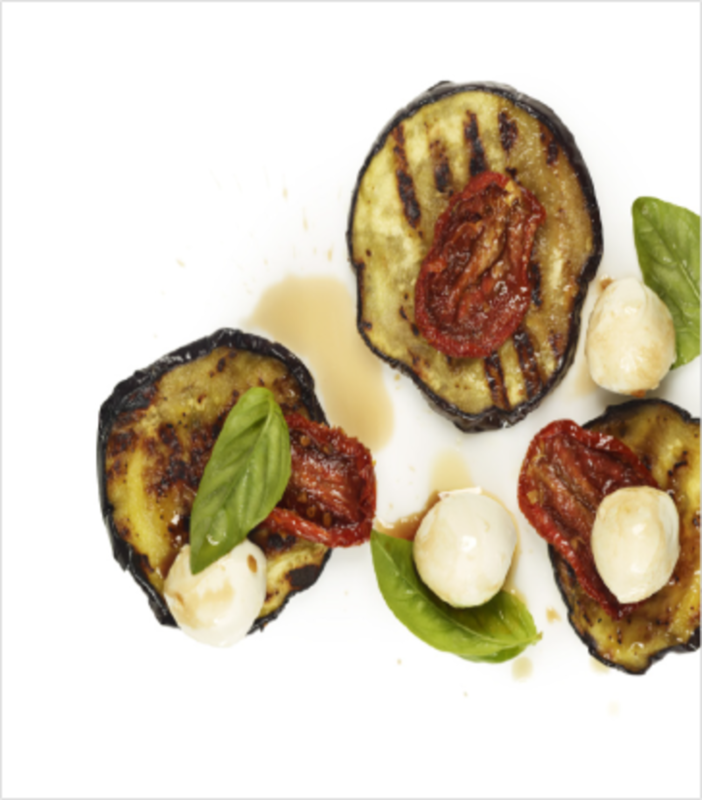 This grilled eggplant salad is just full of summery flavors, from dried tomatoes to basil. And we love to use the tiny mozzarella balls for a tasty, chic final touch. 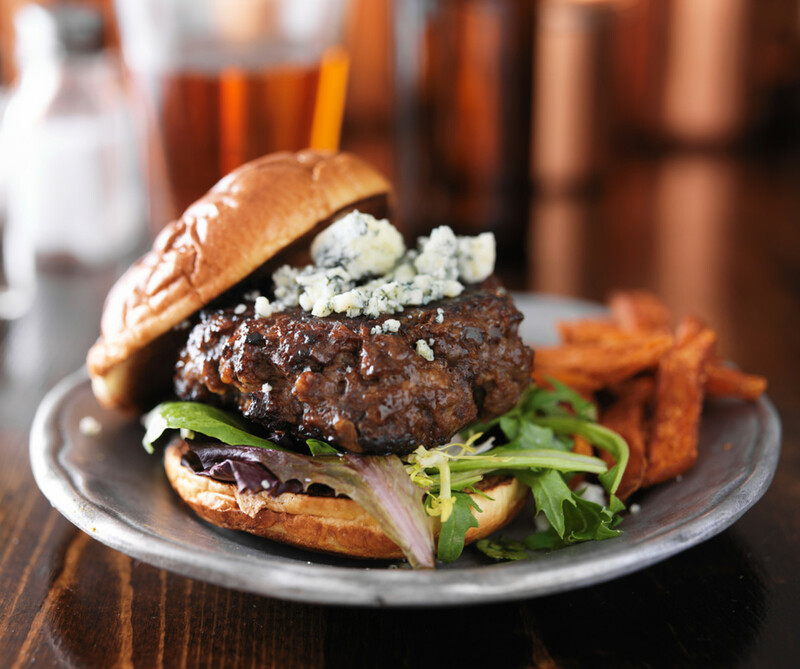 Burgers are a must-have for a Memorial Day menu, but you can dress up your burgers gourmet style with our blue cheese and cabernet burgers. 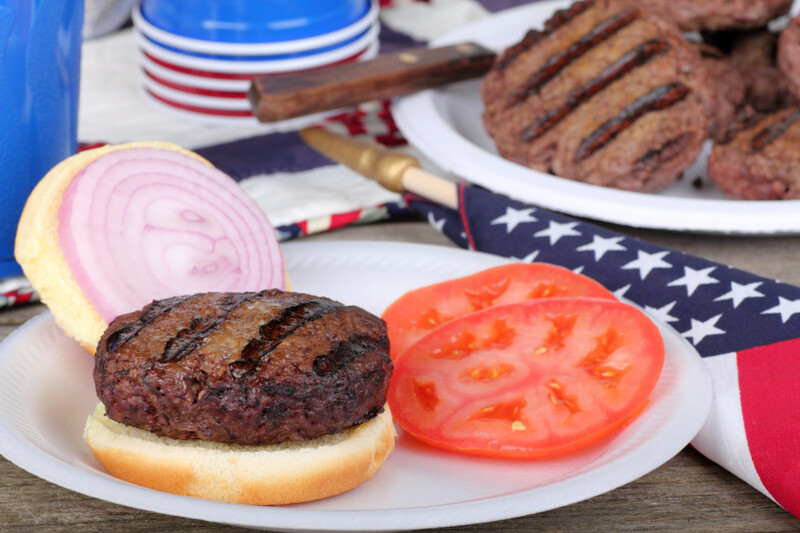 The secret to these flavorful burgers is the cabernet reduction: brush it on the burgers as they grill for a caramelized flavor that pairs perfectly with organic blue cheese. 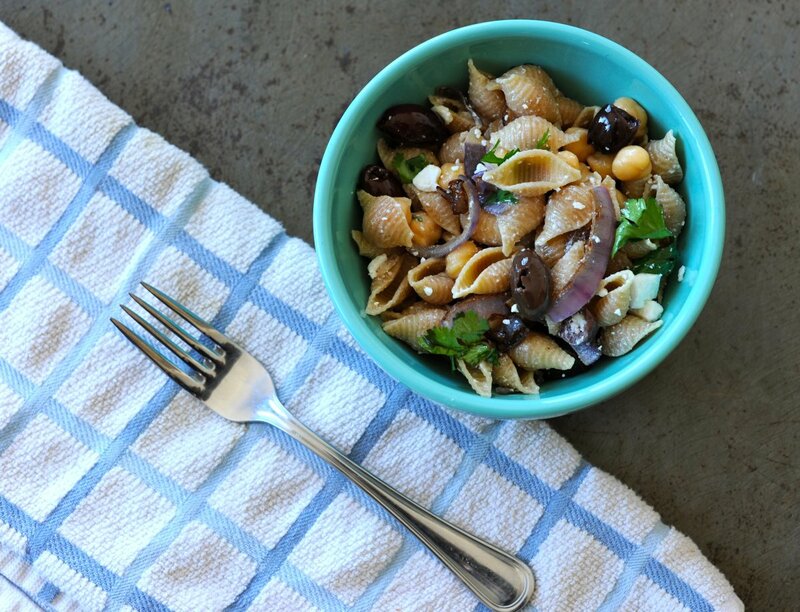 Pasta salad is yet another staple you can&apos;t pass up on Memorial Day. This version is slightly dolled up, with a Greek influence that&apos;s apparent in the use of feta, olives and chickpeas. It&apos;s just as tasty warm or cold, so feel free to make it ahead of time. 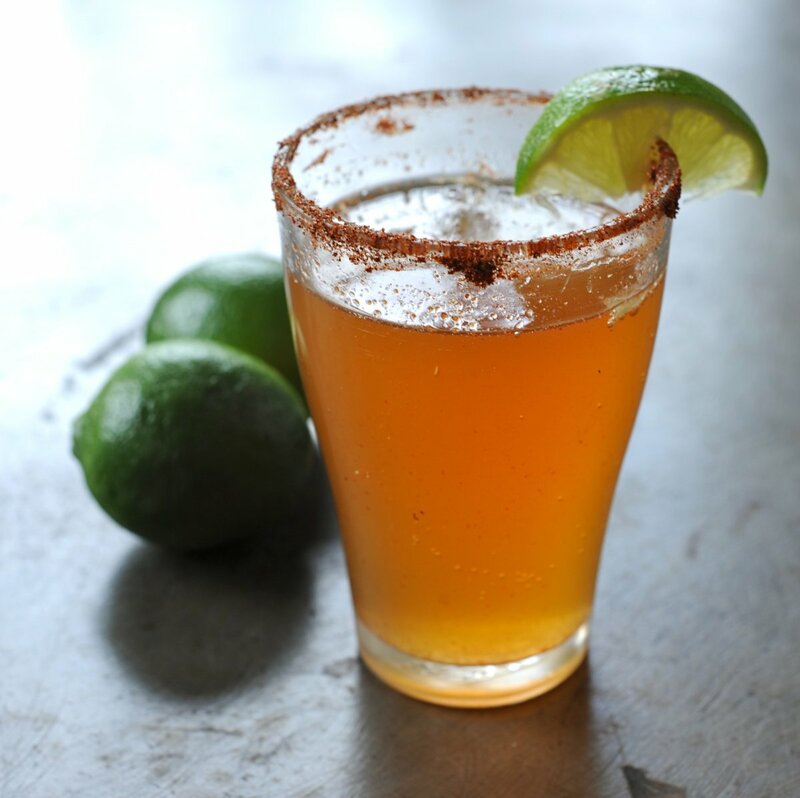 Change things up from the classic beer of Memorial Day by mixing up a few micheladas for your guests. If you&apos;ve never heard of this beer cocktail, think of it as the perfect blend of a margarita and a bloody mary -- with beer, of course! Your friends will surely be impressed with the little kick of hot sauce in this tasty drink. 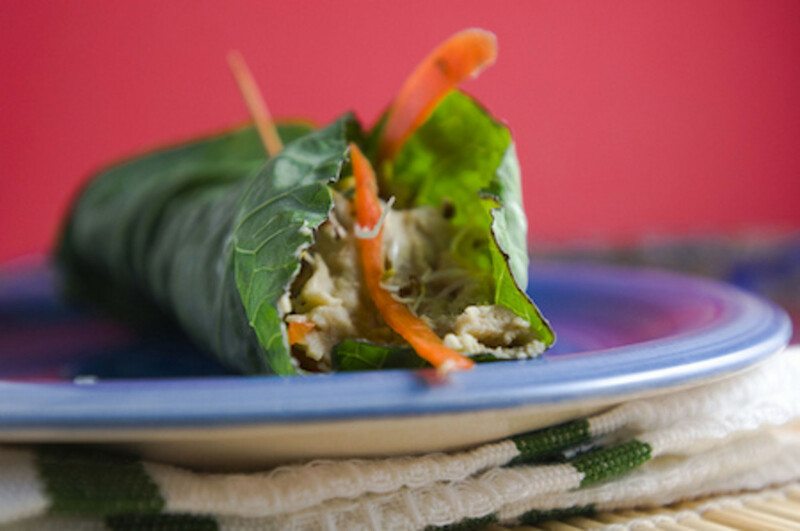 Instead of opting for a more traditional salad on Memorial Day, why not play up the freshness of veggies with this raw collard roll, complete with sprouted hummus, julienned raw veggies and sprouts. 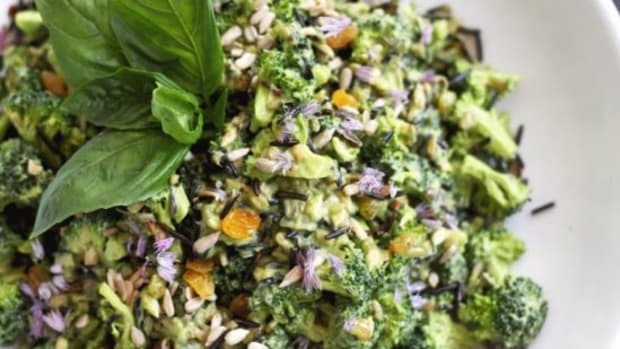 Fresh, colorful and healthy, this recipe is also perfect for a crowd: make the rolls and line them up on a platter; guests can serve themselves and eat them right out of their hands -- no silverware required! 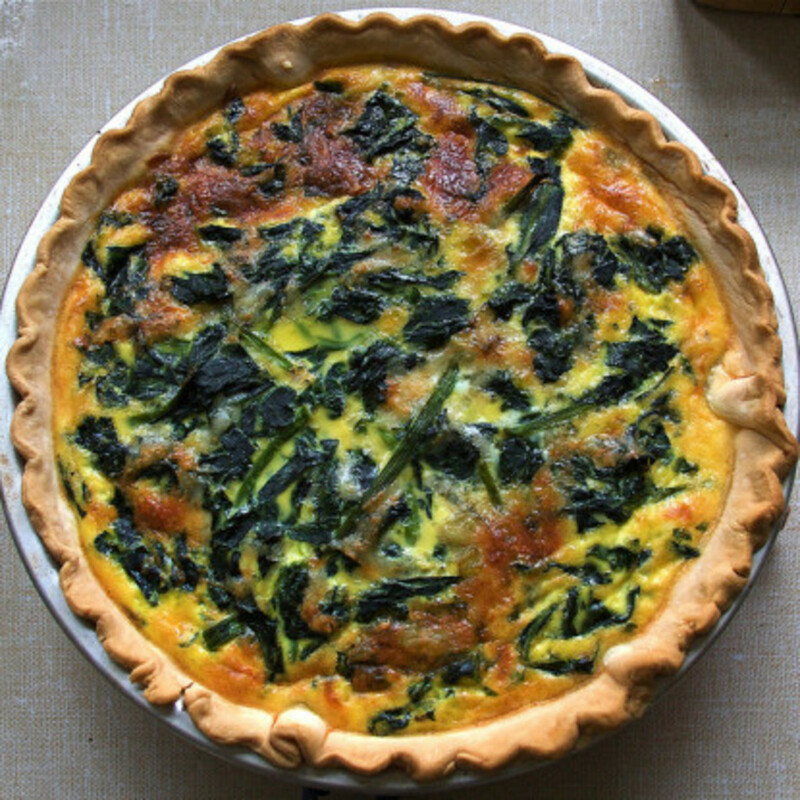 It&apos;s always nice to have at least one dish on your Memorial Day table that everyone can enjoy, and nothing fits the bill better than this vegan, gluten-free quiche. A tofu based is flavored with greens and mushrooms as well as a healthy dose of herbs and alliums. The crust, meanwhile, unites almond and gluten-free oat flour with echoes of those same herbs. The final dish is particularly perfect for a Memorial Day celebration, as it&apos;s best served cold: cook this up before your guests arrive and store it in the fridge until it&apos;s time to serve! 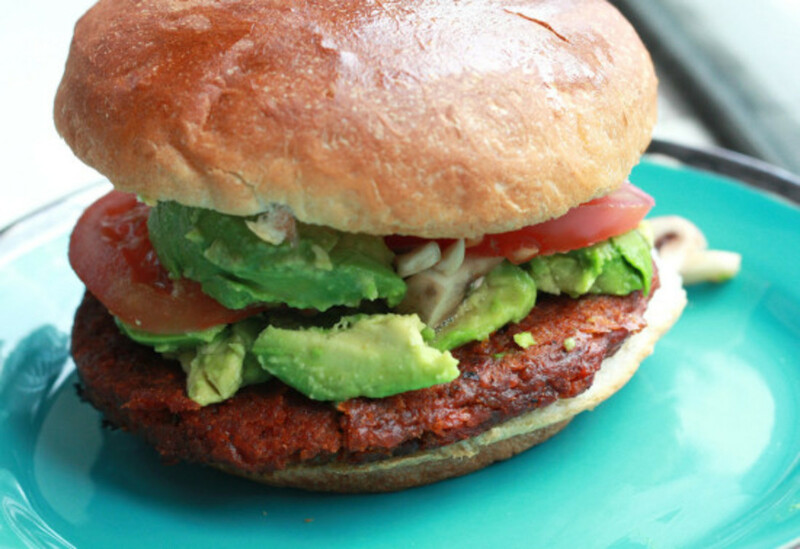 Just because your Memorial Day cookout is meatless, that doesn&apos;t mean you can&apos;t feature burgers! 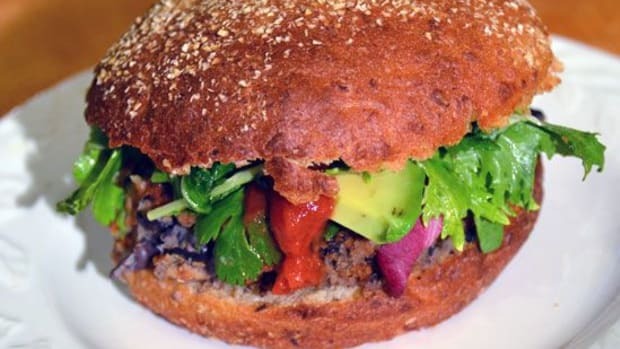 These vegan lentil burgers are full of the flavors of sweet potatoes, lentils, sun-dried tomatoes and soy. 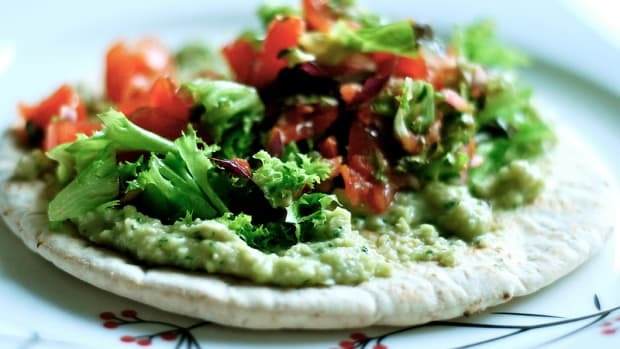 Top them with any traditional toppings, including cheese for vegetarians, sliced onion, tomato or lettuce, or even with avocado or guacamole. But burgers aren&apos;t the only veggie main that you can throw on the grill for a Meatless Monday Memorial Day meal! 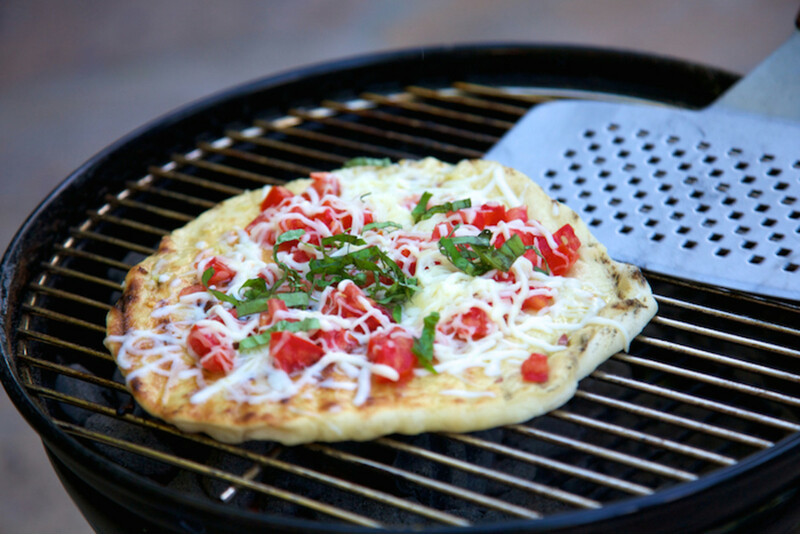 Making your Memorial Day cookout into a make-your-own pizza party is endlessly fun. Make your own big batch of this organic pizza dough, and separate it into smaller pieces. 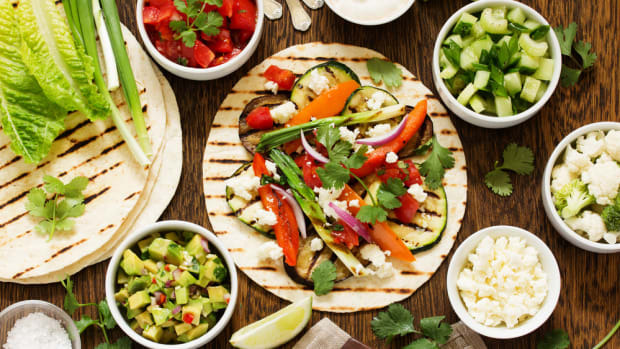 Let everyone choose from different veggies, cheeses and sauces, and throw everything on the grill. Then enjoy your creations! Did you know that you can grill dessert too? This vegan pound cake is the perfect follow-up to all of these Memorial Day goodies. 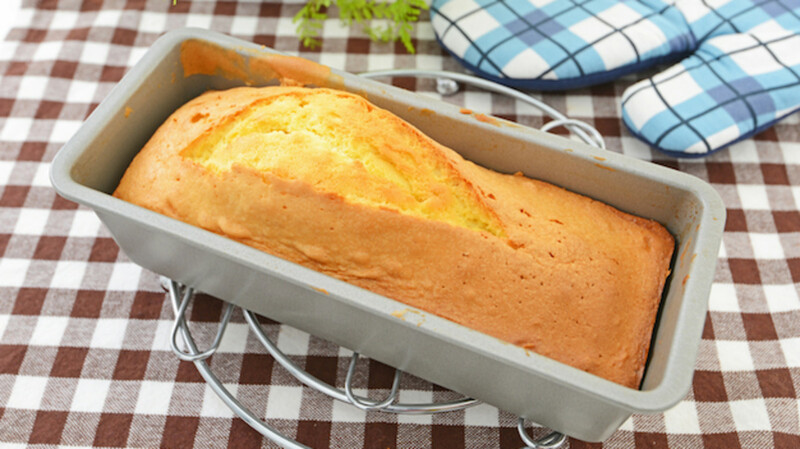 Bake the pound cake in advance, and when ready to serve, grill slices and serve with homemade vegan coconut cream and fresh summer fruit. 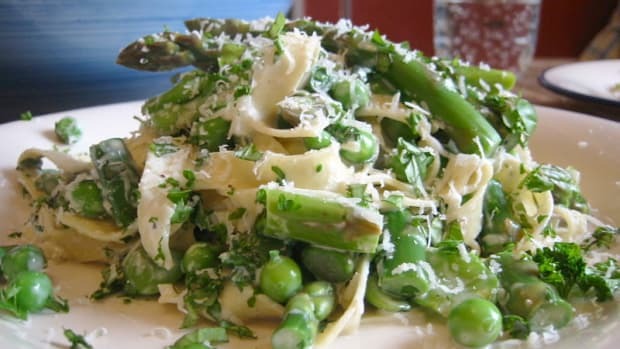 Meatless Monday Roundup: Green Recipes for a Festive Saint Patty's Day!